Welcome to Brash Talk #8 the newsletter of the Polar Tourism Guides Association (subscribe here). We hope you are excited about the start of Antarctica 2018/19 – if social media is anything to go by a lot of people are out there already. Plenty to cover in this issue so please explore it and catch up on all our exciting news. News Flash – as of publishing the PTGA has 228 paid members. This is a fantastic turnout in the year and a half we have been live. Thanks everybody for embracing a guide and skills focused professional industry association. We are very positive about our place in the industry, what we can offer our members and the relationships we can foster to help the people and environments we all love so dearly. Developing Expedition Leadership Capability – A21 trials new program. Graham Charles has been monitoring the constant influx of memberships and RCC applications and answering questions as new people roll in and have questions that need answering or visit our site for the first time. He was in Hobart with Aurora in mid October to run the very first (see below) In-House Assessors training course and has just returned from the Hebridean Sky and the Polar Latitudes team running another Assessors course as the ship relocated from Montevideo to Puerto Mardyn. Phil Wickens has headed south with Quark Expeditions. Mariano Curiel is 150% buried in A21 season start and some new training initiatives they are trialing. Alex Cowan was last seen somewhere around the Falklands/SthG/Penin circuit with G Adventures. Heather Thorkelson has been working on securing Pro Deals for our members in Europe and preparing to speak to Blekinge Business Incubator about entrepreneurship. Brandon Harvey is running around like a mad thing organizing permits and other operational magic for EYOS Expeditions. Kit van Wagner has just returned from Chile and a Silversea training program in the high Andes. There is a LOT of good staff training going on out there. Inspired by her experiences growing up in Japan, Norway and England, Kit has been steadily working her way around the globe, sharing her infatuation with wild places, wildlife, and remote cultures as she goes. She holds a Master’s degree in Marine Science Education and has directed several government-funded marine conservation initiatives, most notably with the U.S. National Oceanic and Atmospheric Administration (NOAA). Kit holds a U.S. Coast Guard 100-Ton Captains License, Dive Instructor Certification, and has a varied career history also working as a sailing instructor, tall ship officer, and backcountry kayak guide. She began working internationally on expedition ships in 1999 and joined Silversea Expeditions full-time in 2014. She has enjoyed working for Silversea since that time as a Lecturer, Expedition Leader and currently in the role of Director of Expedition Training and Staff Development. When not at sea, Kit is dedicated to building her new role and creating development opportunities for Silversea’s expedition staff members including the introduction of the innovative ‘Silversea Expeditions Training Academy.’ She also stays busy scouting new destinations and providing essential support in various facets of expedition operations including permitting and program development. The Polar Citizen Science Collective (PC) is a non-profit whose ambition is to further the opportunities for expedition vessels to participate in polar science. The Collective was born out of the shared passion and enthusiasm of 5 polar guides – Alex Cowan (SPTGuide), Ted Cheeseman, Lauren Farmer, Robert Gilmore and Annette Bombosch (SPTGuide). 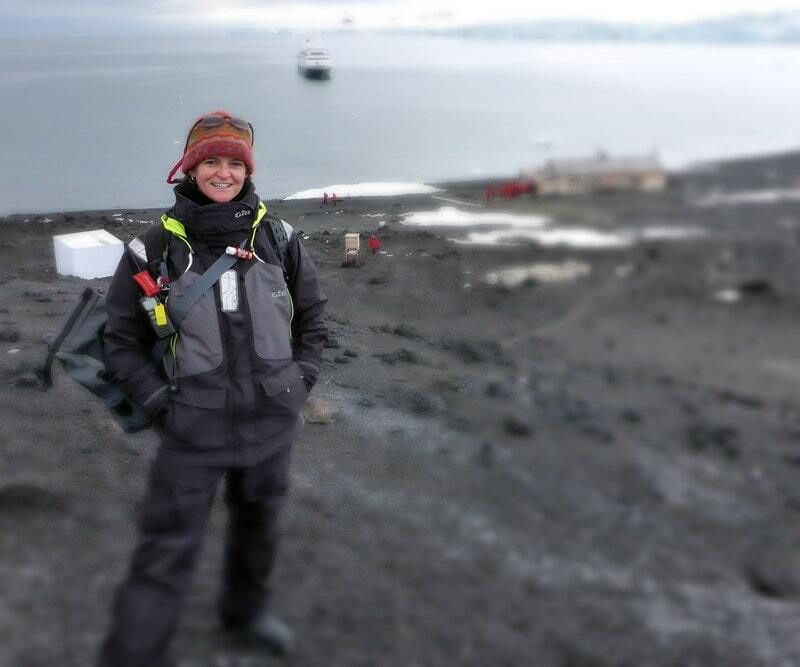 Lauren Farmer, currently on board G Expedition as “Citizen Science Coordinator,” in addition to her role as a naturalist and Zodiac driver, has been working in the polar tourism industry since 2013 as photographer, naturalist and expedition leader. She is co-founder of the Polar Collective and today serves on the secretariat. She started in citizen science by developing a sea ice monitoring project on North Pole cruises in partnership with multiple scientific organizations, which later evolved to include atmospheric observations for NASA across the polar regions. 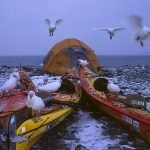 PTGA: How did the Polar Collective come about? LF: Expedition ships have carried scientists for a long time, giving them the opportunity to carry out their own research, but there has often been a lack of possibilities for passengers to participate. 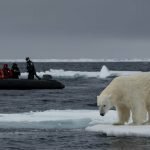 In the past decade, the polar tourism industry has entertained a growing interest and involvement in citizen science, such as the Sea Leopard Project and Happywhale, but no concerted effort had been made specifically to coordinate these efforts amongst the fleet. 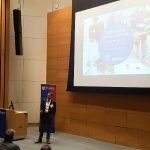 At the first IAATO/AECO field staff conference in Toronto, a conversation started amongst those of us running individual projects and it was an obvious evolution to pool our talents and share them with the whole industry. PTGA: How many companies have started a CS Program to offer guests an opportunity to be part of science work? LF: There are now at least 7 operators running citizen science programs, managed by expedition staff and with the participation of their guests. With the recent inclusion of a range of citizen science projects in the Field Operations Manual, it’s likely additional operators are beginning to introduce data collection to their educational programs. PTGA: Is it being monetized or purely a free initiative for guests? LF: The vision of the Polar Collective is that citizen science is an activity to enrich guests’ learning and should be offered as a “free” addition to the existing educational program. The majority of projects included in the FOM require no purchasing of specialist equipment so the only resource required of an operator is a dedicated expedition team member to manage the projects. The Polar Collective itself currently runs on the goodwill of the trustees and secretariat and on money from grants and do not monetize the projects we promote to operators. PTGA: What do you see as the next phase in development CS as it pertains to polar tourism? LF: We are actively trying to encourage as many vessels as possible to adoptcitizen science programs, and to support long-running and consistent data collection projects on each. By doing this we can demonstrate to the science community that we are able to deliver useful quantities of valuable data. We are also regularly reaching out to the science community through papers and conferences to communicate our value and promote the potential of citizen science in polar regions. PTGA: Give us your best prediction of how this will look in 5 years time. LF: A robust science and data collection program will make up an important part of almost every vessel’s educational program, and operators will market the fact that guests can take part in projects while on board. 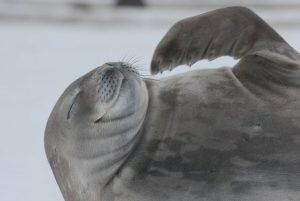 These projects will be a mixture of long-term monitoring and shorter-term research projects aiming to answer specific questions, and span both the Arctic and Antarctic. We will be working hand in hand with scientists who will understand our strengths and limitations, and thus be able to design projects specifically tailored to expedition cruising. A Citizen Science Coordinator will be an important role on each team, the passengers will be more than just tourists, and the staff will be more than just guides. PTGA: What are the barriers to involvement? What strategies are you working on to nullify these? LF: A consistent challenge we are working to resolve is a perceived lack of time or required staffing for running a successful citizen science program. While it is recommended that a staff member be hired as a Citizen Science Coordinator to oversee the whole program, a successful effort requires the dedication and enthusiasm of the entire team. When developing projects, we are trying to design them in such a way that they fit into the general pattern of an expedition cruise so that they are not disruptive to the pre-existing program. Some of these projects are an activity in themselves and so they should not be seen as a new added pressure on the staff and cruise, but as an opportunity to spread guests across more activities when in the field, and to get away from the usual round of lectures on board and educate in a more hands-on way. PTGA:What has been your most successful CS engagement thus far? 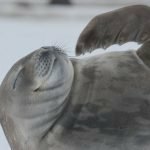 LF: Happywhale is the perfect citizen science project to involve passengers with, requiring no more technical skills than photo-taking, but answering questions about whale migrations and seal movements and giving contributors relevant and understandable feedback, sometimes even before the end of their cruise. Possibly the most ambitious project being run amongst the fleet is FjordPhyto, which is using passengers on “Citizen Science Zodiac cruises” to collect phytoplankton samples in order to study ocean productivity around the Peninsula. This is a multi-year project employing a PhD student at Scripps, and it is very exciting as it plays strongly to the strengths of our industry; last season we collected time series of up to four months of samples from multiple sites between Mikkelsen Harbour and Stonington Island, an effort that would be a major undertaking by a national program! PTGA:If a PTGA member wants to get involved what do they need to do? LF: Visit polarcollective.org to meet the team and get an overview of the data collection projects currently being supported and promoted within the polar tourism industry. Then, visit the ‘Supporting Science’ section of the FOM to learn more about individual projects, and access resource material. While all you need to get up and running is the information available in the FOM, the Polar Collective would like to ask that you reach out to us to let us know of your plans, so we can maintain an accurate overview of the collective efforts being made, and provide any assistance to you, your team or your operations manager. We have satisfied all the requirements of our ISO Audit. 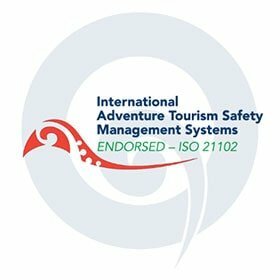 This was a thorough investigation of our systems and procedures and standards as they pertain to ISO Standard 21102 – Adventure tourism activity leaders’ competences. This means the guides, assessors and companies represented by our systems are working to, and represented by, this ISO standard. This is fantastic verification of the work we have put in over the last couple of years to create the working systems of the PTGA and a first for the polar tourism industry for an organisation or company to put itself up for ISO scrutiny. PTGA President, Graham Charles recently ran the first In-House Assessors program for a team of SPTGuides from Aurora Expeditions. This intense two-day course was the first of its kind and feedback was excellent. The program walked participants through PTGA structures and systems and how they relate to the assessment process, the language used and the structure and execution of a Workplace Based Assessment from start to finish. A lot of the time was spent role-modelling methods of communication and feedback and dealing with a range of scenarios and moderating responses. Graham reports that candidates were well prepared, enthusiastic and dedicated to learning and getting better in the role. Next up was a program for Polar Latitudes beginning in Montevideo and continuing on the ship (Hebridean Sky) during the remobilisation to Puerto Madryn. Both courses were highly successful, feedback has been excellent with people commenting they had learnt as much to add value to their guiding as they did about being an assessor. We now have 12 new In-House assessors in the fold eager to get going with it. A21 have a course scheduled for January 2019 to get their assessment process going. The PTGA will be running an ‘open’ course for those with the pre-requisites and interest in ‘European zone’ (somewhere central that is inexpensive for our Europe members to get to) in May or June 2019. Places will be limited so if you think this is for you please get in touch with the PTGA. Congrats: Sophie Ballagh, Mariela Cornejo, Pablo Brandeman, Liz Pope, Robyn Mundy, Gary Miller, Heidi Krajewsky, Howard Whelan, Nate Small, Seb Coultard, Stephen Anstee, Ewan Blyth. The PTGA grand parenting scheme for Recognition of Current Competency ended on Oct 31. There was a surge of applications in the final 5 days. For the year and a half that it was running we have reviewed over 50 guide portfolios. We have over 65 still to do! For those of you who were in this final wave please be patient – all our review team are now at sea in Antarctica with limited communications so this will slow the process down. Why does the scheme have to have to end a lot of people have asked? It’s a valid question. 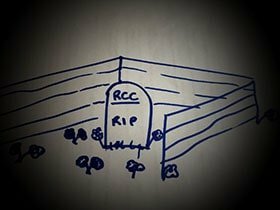 RCC or Grand parenting schemes are common with new initiatives like ours to try and encourage senior people to get in early and have experience and skills recognized via a desktop review. While our process has been authentic and robust it still isn’t performance testing and ultimately that is what the PTGA uses to measure against any standard. We had decided at the very beginning we would offer the scheme but that it had to have an end date so we could get on with our true role. That time has now come and we feel that more than a year was a fair period of time for people to consider it/us and decide to act, or not. We have a high level of confidence in the process we have used but of course it is not without its flaws and is not infallible. We identified and acknowledged this from day one. The scheme is time and personnel input heavy. Every application (some had more than 30 accompanying documents!) is thoroughly scrutinized by at least two people, attestations are read and followed up with if we need clarifications, financial receipts are confirmed then any additions or requests for more information are sent out. This material was re-reviewed, judgements were made, discussions and conference calls are had, certificates issued, files updated and we move on the next one. All information on every applicant is retained. We now have the most extensive file of polar guides and their skill inventories across all areas of guiding that exists. If a guide should ever need this material or lose their copy they are able to access it from the PTGA. We have also retained, through the senior guides who have joined PTGA, an incredible amount of polar guiding culture and knowledge that we wouldn’t have had without a grand-parent scheme. All this input has and will continue to take time that the PTGA could be using to develop more resources and value added opportunities for members. It is time to move on. 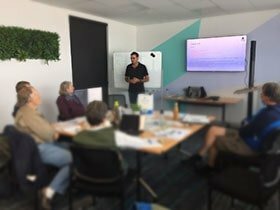 We are training assessors now and aiming to radically improve the process of testing for old and new guides – the performance testing phase is fully underway and ity is a critical part of the PTGA process. Our Cross-Credit scheme is still operating and will always be available. If you have been performance tested in another verifiable system that has relevance to your work in the polar industry we would like to see what you did and see if there is cross credit value in the program. If there is – we will give you our PTQs that were covered in your previous qualifications. If you don’t understand how this works just drop us a line. This is a new column we are experimenting with. 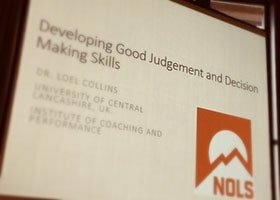 We are trying to encourage all guides to understand the fact that every BIG accident will likely have a number of pre-curser smaller events or near misses that provide clues to knowledge or skills and judgement deficits. Learning from these near misses, sharing them and being able to discuss them without fear of judgement or punishment is critical. The polar tourism guiding role, by its very nature, has a lot of continually changing situational factors, ambiguity is common, and our current growth rate with the need for many new guides with minimal experience creates a workplace fraught with potential for near misses. We are keen to be the impetus for change in how we, as individual guides, respond to near misses and how we share them. Our mission is purely information, NOT to apportion blame, nor to identify anyone or any company. 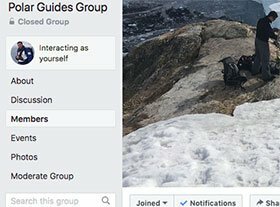 We’d appreciate your feedback – let us know what you think at Polar Guides Group. The individual who shared this has given full permission knowing that sharing the incident is far more useful than burying it. If you have had a valuable near-miss and would like to contribute please drop a line and we can share. We have provided the narrative then our summation of the causal factors that precipitated the incident. I had retrieved 2 kayaks from the water and positioned them across the pontoons. I waited for the call to go alongside, retrieve the hook and prepare for the lifting aboard. On receiving the call, I engaged the drive and swung the zodiac around to starboard to come alongside (I’d removed my kill-cord to prepare the zodiac and kayaks for crane ops). As I started this manouvre, the bow of the Zodiac lifted up on some sea ice which caused the kayaks to slide backward toward the stern of the zodiac. 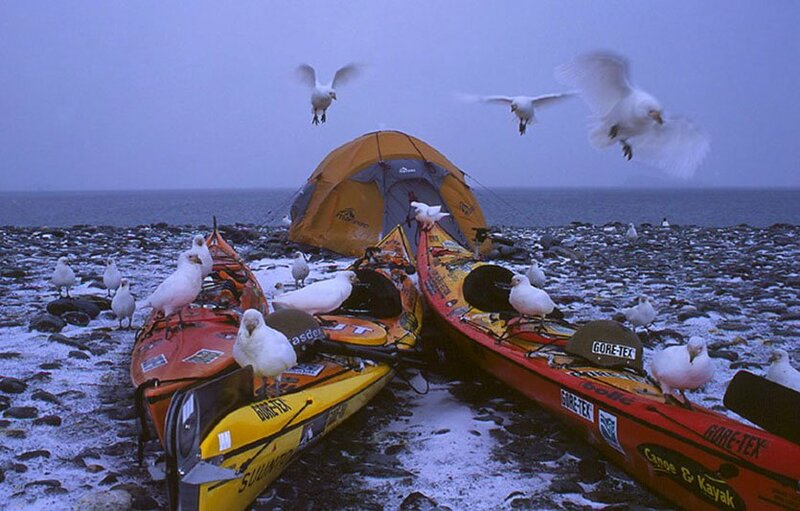 I was temporarily unbalanced as the kayaks struck me and pushed me to the stern of the zodiac. I reached for the tiller for some assistance to retain my balance. When I grabbed the tiller I rotated the drive slightly and then lost whatever balance I had and fell backwards into the water. The accelerator sleeve did not self-return and so remained stuck in full throttle instead of returning to neutral/idle. Thus, the zodiac careened off at speed shedding its cargo of kayaks and looped around a circuit and I was in its path. I was aware of what was happening and was able to avoid being runover by ducking my head and moving my body away from the course of the zodiac. I was in the water for probably less than 2 minutes as I swam toward another zodiac which was standing by. I had some difficulty in retrieving the rescue throw line as the hood of my float jacket kept falling over my face. I had zipped up my float coat, but this is not sufficient unless the waist clip is fastened tightly also. When being retrieved from the water the rescuer may pull on the jacket and unless the waist band clip is fastened the jacket could be pulled over the head of the person being hauled from the water. Eventually I was hauled aboard and taken back to the gangway to find comfort in a warm shower. I was back on duty within an hour. Not being aware of the ice under the zodiac bow when taking off – any professional guide should have constant situational awareness. 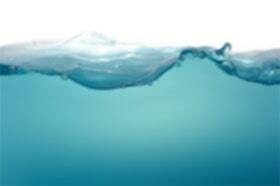 In this case the unknown ice under the zodiac was the issue that ignited the sequence of events. Kill-cord was not being worn when the driver went into the water – kill-cords are a critical safety item regardless of your perception of your own skills/experience. This was the biggest causal factor in this incident and turned it from a simple embarrassing plop into the water into a critical near miss. Throttle control was sticking/malfunctioning – guides/drivers should be fully aware of any deficiencies with equipment they are expected to use, their role in reporting deficiencies, requesting repair or undertaking it themselves if they are competent. Float coat was not worn as per manufacturer recommendations – waist belts are critical to the functioning of any flotation device to assist the victim to stay in it and/or to be used as a means of hoisting. Positive note: The rescue was quick and efficient – all guides should have practical experience of rescuing a MOB with the challenges and solutions a zodiac offers. We created a new page on Facebook to make it easier to interact in a forum or town hall format. Any member of the group can post and comment. We want to encourage robust debate and discourse but we will not accept abuse and lack of tolerance for other peoples opinions or beliefs. We also won’t accept advertising and will delete it if we see it. Within the rules of the group any opinions are valid, they are an opinion and someone holds it. No one is going to ‘change’ to your beliefs in FB time. Change takes time. Knowledge, assimilation and openness to trying alternatives is the best we can hope for. You cannot win a FB discussion! The best we get out of contentious discourse is an awareness of how other people think and an understanding that not everyone shares our paradigm no matter how legendary we might think we are. No member of this community (beyond the group rules) is judge and jury on any issue whatsoever. If you are an experienced guide with a passionate belief don’t get angry with others – we are dealing with English as a 2nd(or 3rd or 4th) language issues with many members, the fickleness of the written word etc. Accept there will be errors in delivery. Show the less experienced members and guides how a professional senior guide composes themselves and continues to contribute to ambiguous (grey area) discourse in a positive manner. Enjoy the process – this is the ‘town hall’ we will likely never get for real. This is gold in an industry whose practitioners are spread all over the globe and rarely get a chance to interact. Sift and sort – if you don’t like a string just leave it. If, as a community, we hit on an idea that we think might have some grounds for further and tangible action. Take that action – bring the issue more formally to the PTGA and open some dialogue with us (out of social media) and we can see if there is anything we can help with. Venting, argument and discourse here won’t actually lead to any action. If you want action – take action. Yelling to the world on FB that you want change is pointless – get out and do something; write that letter to an administrative body, collaborate with people making a change, ask what you can do to help, provide feedback to those guidelines someone might design as a trial. 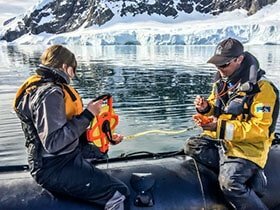 In the face of strong growth forecasts for the Polar Tourism Industry, Antarctica 21 (A21) is looking to develop added capability in its expedition leaders and staff. Actions that strengthen its core values as a boutique expedition company with foundations in its high-performance teams. Expedition Leaders Ben Jackson (SPTGuide and Assessor) and Mariano Curiel (SPTGuide)took the opportunity to collaborate with the PTGA which is creating a Virtual Learning Environment (VLE) that will form part of its training and assessment process for the future. A21’s expedition leaders Cheli Larsen, David Berg, and Hadleigh Measham, along with Ben and Mariano put the beta version of the PTGA Leaders and Teams module through its first paces and took the results to a 2-day pre-season seminar held in Santiago, facilitated by Dave Ritchie from Nivation. 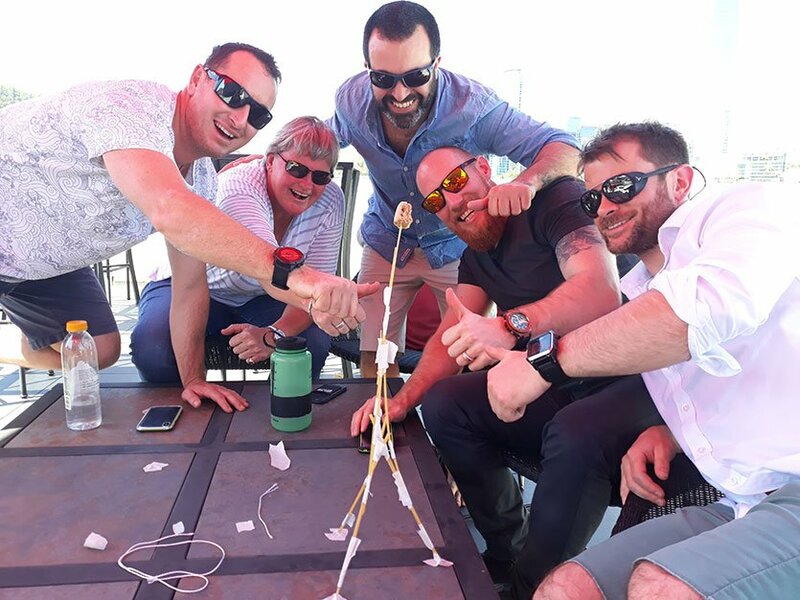 A second section of the Leaders and Teams sessions continued in Puerto Williams with additional practical sessions and technical skills orientation. Willie Parra taught different rope rescue systems and Ben Jackson conducted zodiac training sessions based on the PTGA Advanced Endorsements for Zodiac syllabus. Congratulations to our most recent members reviewed through the RCC or Cross Credit scheme. Fantastic to see the yachting fraternity getting into it with Skip Novak and Ben Wallis and Laura Smith gaining status. Senior Polar Tourism Guide: Ben Wallis, Skip Novak, Nico Danyau, Rickard Berg, Nicki D’Souza, Tarn Pilkington, Gary Miller, Maria Cashin, Katja Riedel, Damien Sanders.